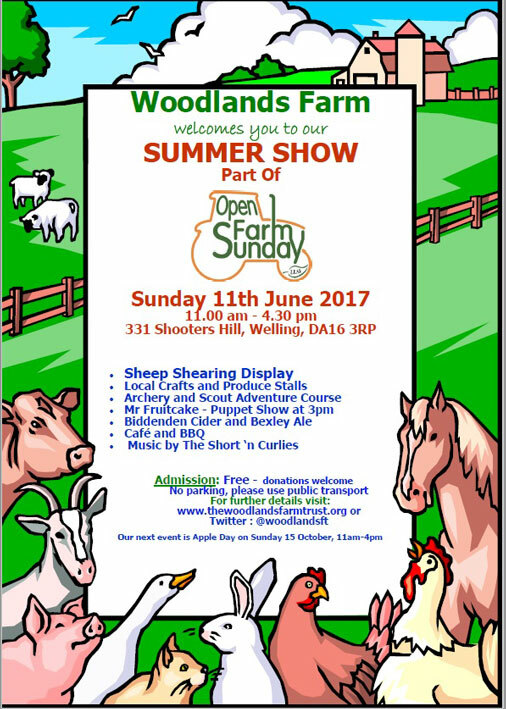 The Woodlands Farm Trust Summer Show is on Sunday 11th June from 11:00am-4:30 pm. All are welcome at the Woodlands Farm Trust Summer Show. 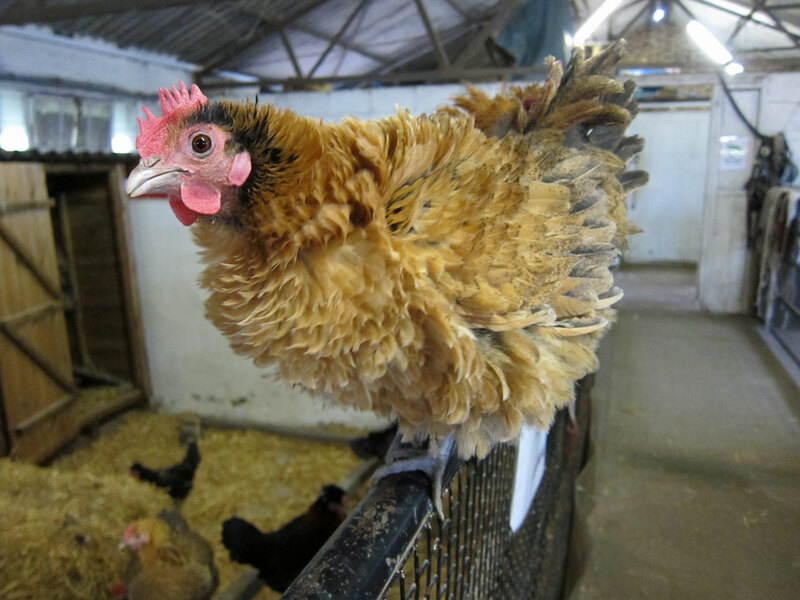 Come and meet our animals and enjoy the chance to buy quality local produce at reasonable prices, including home-made preserves, cakes and honey. Relax in our café to live music by The Short ‘n Curlies, get involved in craft activities and games, and enjoy displays of country crafts. Entry is free, donations are always welcome. All proceeds go towards keeping Woodlands Farm here as a conservation project and valuable resource for the community. There is no parking on the farm, please use public transport. The Woodlands Farm‘s Summer Show is combined with Open Farm Sunday again this year, so it will include farming related demonstrations such as sheep shearing and rural crafts. 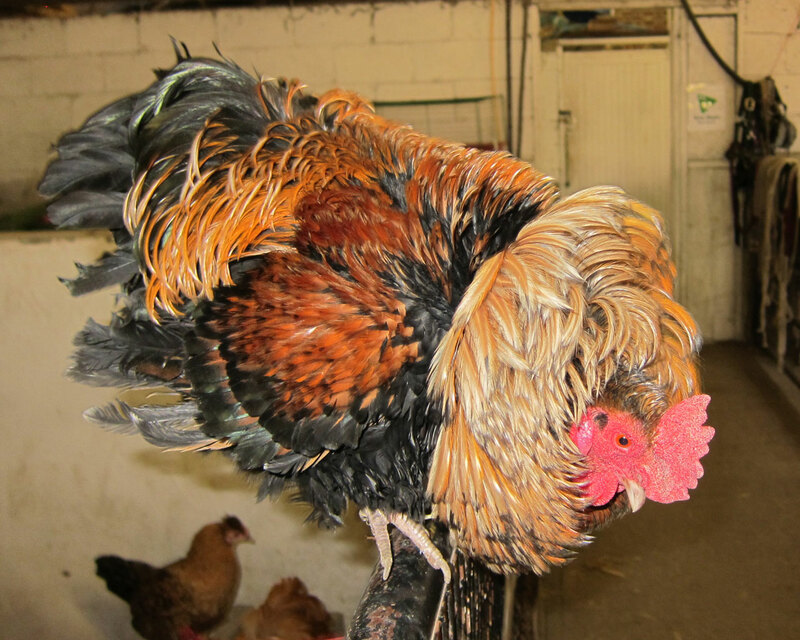 The farm is a registered charity and relies on events such as the Summer Show to raise funds to continue to operate. It’s their 20th anniversary this year, the farm trust was founded in 1997, so a good time to show your support. Join us for a leisurely stroll through our Hay Meadows. In June the meadows are full of wild flowers and an array of different types of grasses. 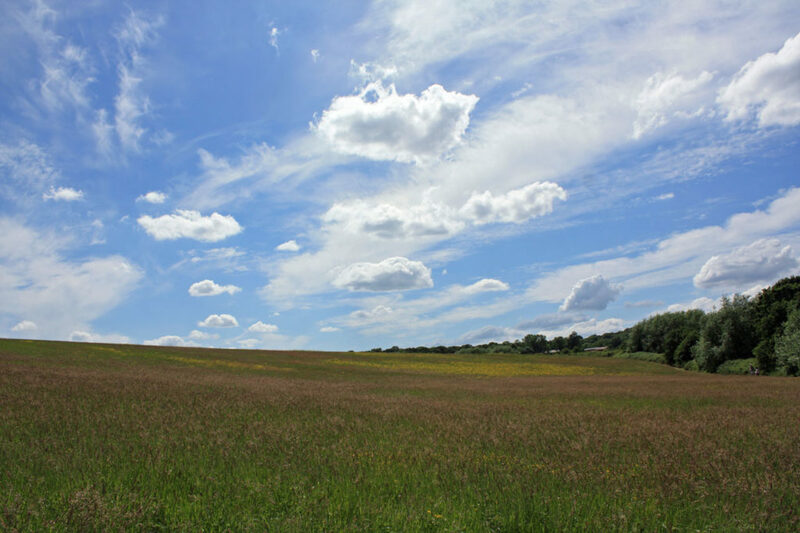 Find out how we manage these hay meadows throughout the year and about some of the lovely plants you will find there. The walk will start at 10am, meeting at the Green Building in the Farm yard. This event is free, although as a charity we do appreciate donations. Unfortunately, this walk is not suitable for buggies or wheelchairs. The Farm manages the grass in their fields either by grazing with their cows and sheep or by cutting hay with tractors and mowers in mid-summer and they don’t use any fertilizers or herbicides on the farm. This type of management enables the wild flowers and grasses to produce their seed ready to grow again next year, resulting in a large diversity of flowers, grasses and sedges in the fields and meadows, which in turn supports many species of insects. 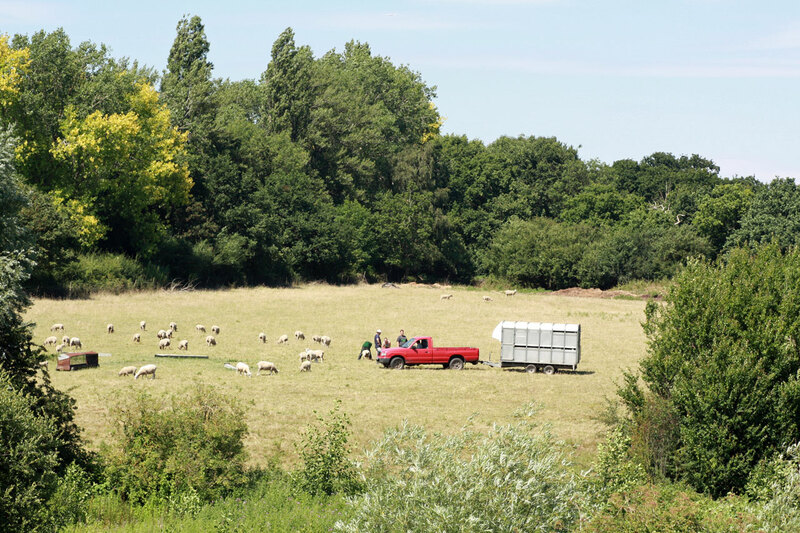 The Farm is part of Natural England’s Higher Level Stewardship (HLS) scheme which encourages farmers to manage their land sensitively, to benefit wildlife and the local environment. This walk is a good chance to learn more about the meadows and how they are managed, and enjoy some beautiful countryside.